Somewhere between refusing to put numbers in a sequel’s title and the perfectly acceptable and normal Whatever 2, there are the films that randomly insert numbers where they do not belong. Some are worse than others, so we’ve ranked them. These aren’t sequels—neither of these movies are the third in their series. They’re just in 3D. It’s descriptive. Slightly worse than the description is when the 3D is a pun on being the third movie and being in 3-D. How much worse is going to depend on your feelings about puns, but the existence of both forms is utterly confusing. There’s no way to tell just from the title which awful number title you’re getting. Movies should always sound like something doodled on a notebook. PUNS AGAIN. This is a recurring theme here, and the ones using the number “2" are not great. (Also, man is Step Up all over this list.) For one thing, the last two have colons, making the puns harder to spot until you say them out loud and want to claw your ears off. However, at least all of these actually are the second film in the series. This is the sixth movie in the series. But it is the second time the Leprechaun has gone to the hood. But the first time in “tha” hood. The fifth movie was Leprechaun: In the Hood. Wow is everything about these titles abysmal. They used the “2" both times. Unforgivable. Normally, a number in the middle of a word that is that same number—and, incidentally, needs to be rotated to look like the number it’s replacing—would be a lot higher on this list. The quality of the film saves it. I apologize if you just screamed “What’s in the box? !” reflexively. What. First of all, if you’re going to replace a “t” with a number, it should be with a “7.” Second of all, why. It’s not a series where this is the 13th one. It’s just to look cool. And wow does it not. The “20" is a reference to the the seventh Halloween film—yes, the seventh and not the 20th—taking place 20 years after the first film. The “H” is from the word Halloween. Of course, the title already has “Halloween” and “Twenty Years Later” in it. It is in no way a reference to the chemical make up of water. 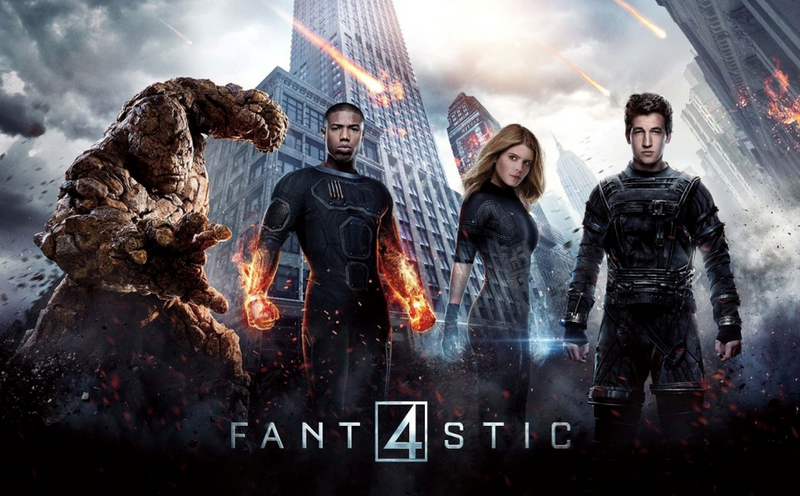 This looked horrible on posters and did nothing to make the Fantastic Four reboot get any credibility. It’s so cool and futuristic. Isn’t it? ISN’T IT? You know what’s bad? When the number abuse cannot even be replicated in typing. You have to see the poster to get that the “l” in “Slevin” is an upside down 7.